As Greater DC Director, Barfonce brings to bear fifteen years of executive level experience in the non-profit sector. At Tahirih, she leads the development and execution of strategy and implementation of Tahirih’s immigration, family law, and social services in the Greater DC Region. Barfonce ensures the delivery of high-quality legal and social services case management by engaging regional stakeholders, and overseeing the local office’s financial and operational integrity by nurturing and leading exceptional teams. From her previous roles in leading Tahirih’s development and fundraising across the region, she has built collaborative relationships with donors and funders to accomplish the critical work locally. Prior to joining Tahirih, Barfonce served as Executive Director of the Capitol Hill Group Ministry (CHGM), a nonprofit that provides holistic support to individuals and families facing homelessness in Washington, DC. Prior to CHGM, she served as Senior Director and Chief Administration Officer of Central Union Mission, the oldest non-profit organization in Washington that provides safe shelter and transformative, compassionate care to individuals and families who live on the margin. Barfonce has a demonstrated passion and commitment for the work of Tahirih, having been one of Tahirih’s first supporters from its inception. Her strategic vision, strong leadership and exceptional management, and commitment to Tahirih’s work will allow the Greater DC office to improve efficiencies and increase its response to the urgent needs of immigrant women and girls in the region. Sasha initially joined Tahirih in Spring 2014 as a legal intern and then in Fall 2014 as a Volunteer Attorney, rejoining Tahirih in 2017. As Immigration and Family Law Attorney in the Greater DC office, she represents and advocates for immigrant women and girls fleeing gender-based violence in immigration and domestic relations matters. She provides advice, counseling, and direct legal representation to clients in asylum, VAWA, T visa and U visa cases, and in family law matters such as divorce, custody, support, protective orders, and Special Immigrant Juvenile Status. Prior to Tahirih, Sasha worked as Senior Direct Representation Attorney for Kids In Need of Defense (KIND). Sasha was the recipient of the Virginia State Bar Young Lawyers Conference (YLC) Significant Service Award for bar years 2015-16 and 2016-17 for her contributions as a Program Chair for the Immigrant Outreach Committee of the YLC. Sasha was born in Moldova and has spent time abroad in London, UK and Antigua, Guatemala. Cindy joined Tahirih in 2018. As the Newman’s Own Foundation Fellow Paralegal for the Greater DC office, Cindy is responsible for handling legal tasks such as admin work as well as client related work. Before joining the legal team at Tahirih, Cindy was an educator for the Princeton Blairstown Center in New Jersey where she worked as a summer instructor teaching Social Justice to students ranging from 8-17 years old. In addition, she was also a 7th-8th grade Literature and Social Studies instructor for Higher Achievement in Alexandria VA.
Cindy has lived in Paraguay as a service volunteer with the American Youth Leadership Program. She has also done community service work in Ecuador, Jamaica and El Salvador. In addition, she also lived and studied in Cuba, and conducted research on the African Diaspora in relation to race and equity on the academic level in Havana. Alison Domonoske joined Tahirih in 2017. As Development Associate and Volunteer Coordinator, Alison helps build partnerships and manage fundraising efforts throughout Greater DC area. She also trains and coordinates volunteers to support Tahirih’s clients and programs. Prior to Tahirih, Alison worked as an AmeriCorps Economic Empowerment Associate and as a Casework Assistant for the International Rescue Committee in Charlottesville, VA. Alison has studied and worked in Ecuador, Sri Lanka, and Palestine. Kathryn Finley joined Tahirih in 2015. As managing attorney in the Greater DC office, she supports a team of attorneys, provides legal services to women and girls fleeing gender-based violence, mentors and cultivates relationships with pro bono partners, and facilitates trainings for professional and community audiences. Kathryn also co-chairs Tahirih’s organization-wide race and gender taskforce. Prior to joining Tahirih, Kathryn worked with Catholic Charities in Milwaukee and interned with the Southern Poverty Law Center, the National Immigrant Justice Center, and Americans for Immigrant Justice. In 2012, Kathryn assumed the lead role in creating and securing funding for the state of Wisconsin’s first ever Immigrant Justice Clinic. She has lived, studied, and conducted research on human rights issues in Spain and Latin America. Adilene joined Tahirih in 2018. As an immigration attorney, Adilene provides Tahirih clients with an analysis of their immigration benefits options and represents clients before U.S. Citizenship and Immigration Services, U.S. Immigration Courts, U.S. Department of State, and the Board of Immigration Appeals. Adilene also serves as co-counsel to our pro-bono attorneys representing Tahirih clients. Prior to joining Tahirih, Adilene served as associate attorney for Benach Collopy LLP, a boutique immigration law firm, for nearly four years. In 2017, Adilene authored A Practitioner’s Guide to Bond Issues (17-02 Immigration Briefings 1), which provides a detailed step-by-step guidance to practitioners on the ins and outs of seeking a client’s release from immigration custody. Adilene also served as editor of the Cancellation of Removal for Nonlawful Permanent Residents chapter in AILA’s The Waiver’s Book, 2nd Ed. Adilene is a member of the American Immigration Lawyers Association and has served as a panelist on the state of prosecutorial discretion at AILA’s 2017 national conference. 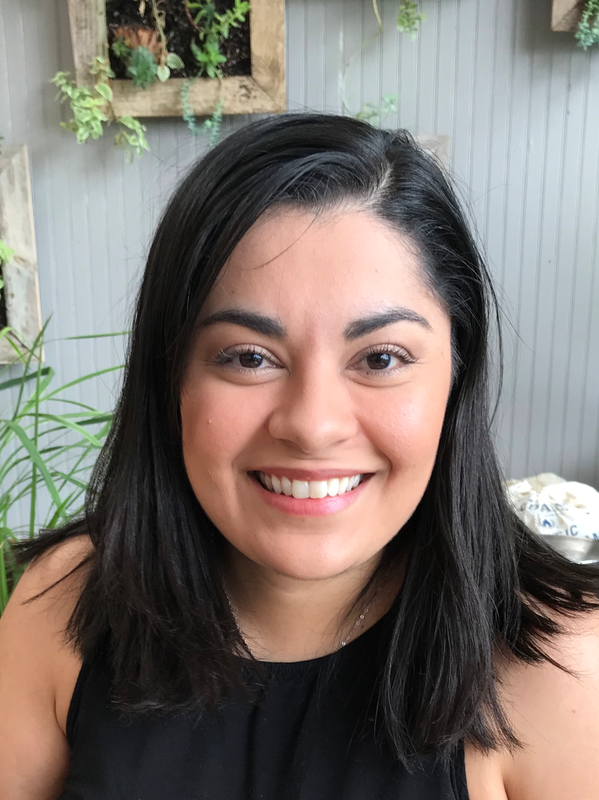 Adriana joined Tahirih in 2017 as a Social Services Program Manager in the Greater D.C. region. As a Program Manager, Adriana oversees the delivery of culturally sensitive and trauma- informed services and awareness for gender based violence. Prior to joining Tahirih, Adriana served as a Co-leader of the Regional Center of Sexual Violence Prevention at the New York City Alliance Against Sexual Assault. She has lived abroad in Latin America, the Caribbean and Europe. Chelsea Naylor joined Tahirih in 2016 as the Immigration Law Paralegal in the Greater DC office. Prior to Tahirih, Chelsea was the Community Outreach Director with Habitat for Humanity of Trenton in New Jersey and FUTURO Program Manager with the Latin American Legal Defense and Education Fund (LALDEF). She spent the last year living and studying in Costa Rica. During this time, she also worked with Nicaraguan migrants in the coffee plantations, and contributed to upgrading the university’s sexual harassment policy. She has also spent time in Guatemala, El Salvador, Nicaragua, and Peru. Education: United Nations University for Peace, M.A. ; The College of New Jersey, B.A. Niku Neshati joined Tahirih in 2017 as the Social Services Case Worker in the Greater D.C. region. As a Case Worker, Niku connects clients to social services within their communities, while advocating on their behalves to remove barriers to other essential needs. Prior to joining Tahrih, Niku worked as an intern for the World Justice Project’s Rule of Law Index. Before that, she interned at Tahirih in social services, providing referrals and advocacy to Spanish and French-speaking clients. She has studied abroad in Spain. Francisca Faundez Rojas joined Tahirih in 2019. As a Social Services Case worker with the Greater DC office, Francisca collaborates with the Social Services Program Manager to address the non-legal needs of Tahirih’s clients and connects them with appropriate resources in their communities using a holistic trauma-informed approach. Prior to joining Tahirih, Francisca worked as a lead counselor with Wediko Children’s Services Summer Program in New Hampshire and as a Project Manager at George Mason University’s Youth Emotion Research Lab in Virginia. Anusce Sanai joined Tahirih in 2012. As the immigration and family law supervising attorney, she represents clients in matters related to immigration remedies based on gender based violence as well as cases involving domestic relations issues. She has experience with petition under the Violence Against Women Act (VAWA), U-Visa and Asylum. In addition, her family law portfolio includes divorce and custody proceedings as well as spousal and child support petitions. Prior to joining Tahirih, she was an associate at Redmon, Peyton & Braswell, LLP and was handling high value real estate settlements while also maintaining her own sole practice as the Owner and Principal of the law office of Anusce Sanai, Attorney at law, PLLC. Before coming to the United States from Italy, Anusce lived in Israel for one year while volunteering at the Bahá’í World Center. She lives in Alexandria with her husband and two daughters. Please call 571-282-6161 between 9:30 a.m. and 5:00 p.m. Monday - Friday. Translation services are available in every language.